The Good Neighbor City is about to get its own community orchestra. 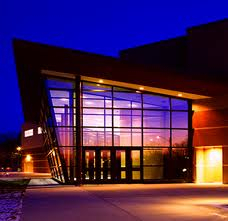 Middleton, Wisconsin, will be home to the Middleton Community Orchestra, which will open its inaugural season with rehearsals starting next Wednesday, Sept. 15, 7:15 to 9:30 in Room 1341 at Middleton High School (and every Wednesday evening after that) and with a concert ($10 admission) on Nov. 10 at 7:30 p.m. in the Middleton Performing Arts Center (below) that adjoins the high school. The Madison Community Orchestra, which performs at Madison Area Technical College and the state Capitol has been a success. And so the organizers of the Middleton group, who are veterans of the Madison Community Orchestra, are looking forward to the new group. 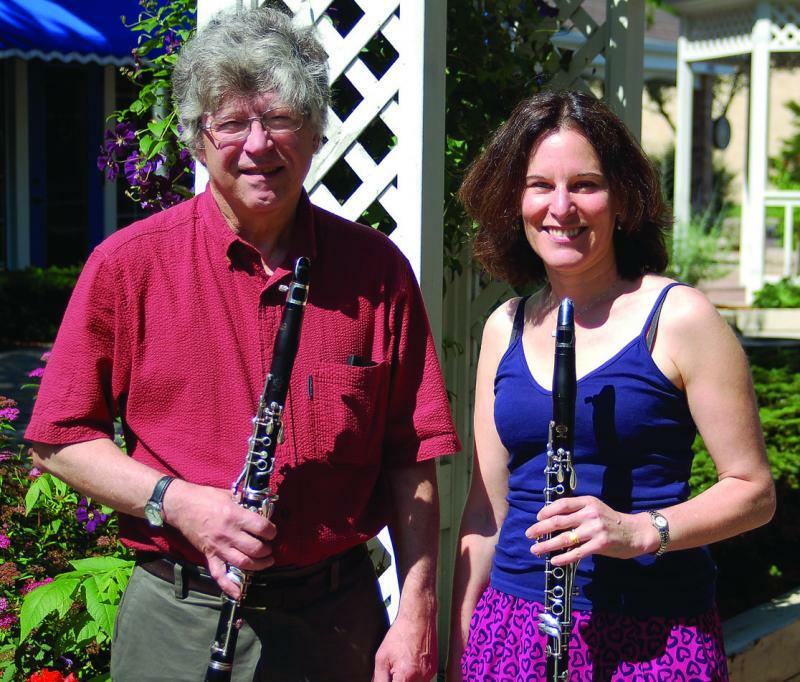 The founders are two clarinettists Mindy Taranto and Larry Bevic (below, in a photo by Matt Geirgere of the Middleton Tribune). The conductor and artistic director is Steve Kurr (below). Additional concerts are slated for Dec. 22, Feb. 23 and June 1. All three recently agreed to an e-mail Q&A about the new group, which even has a home website, with information about the organizations, the people and the concerts. You can also call (608) 212-8690. Why did you start it? How did it come about? Mindy and Larry: We sensed that there were a lot of local musicians wanting an opportunity to play in an orchestra. We have been playing in the MATC orchestra for many years and we wanted to try out some new ideas that couldn’t be done in the Madison group. Steve: I’ve been thinking about the concept of a community orchestra for the Middleton area for a couple of years now, but had not acted yet. When Larry and Mindy asked to chat with me, I kind of guessed what that was why they were wanted to meet. What is your goal or the maximum size? Steve: Too many more than 70 and we outgrow our rehearsal space. Are certain sections especially hard to recruit for? Mindy and Larry: We’re looking for violins, cellos and basses. We have a lot of viola players. Steve: Although there is nothing wrong with lots of violas. What is your own background in both music and community orchestras? Mindy and Larry: To quote Matt Geiger from the Middleton Tribune, the two of us have over 35 years combined of community orchestra experience and we both started playing the clarinet when we were in grade school. 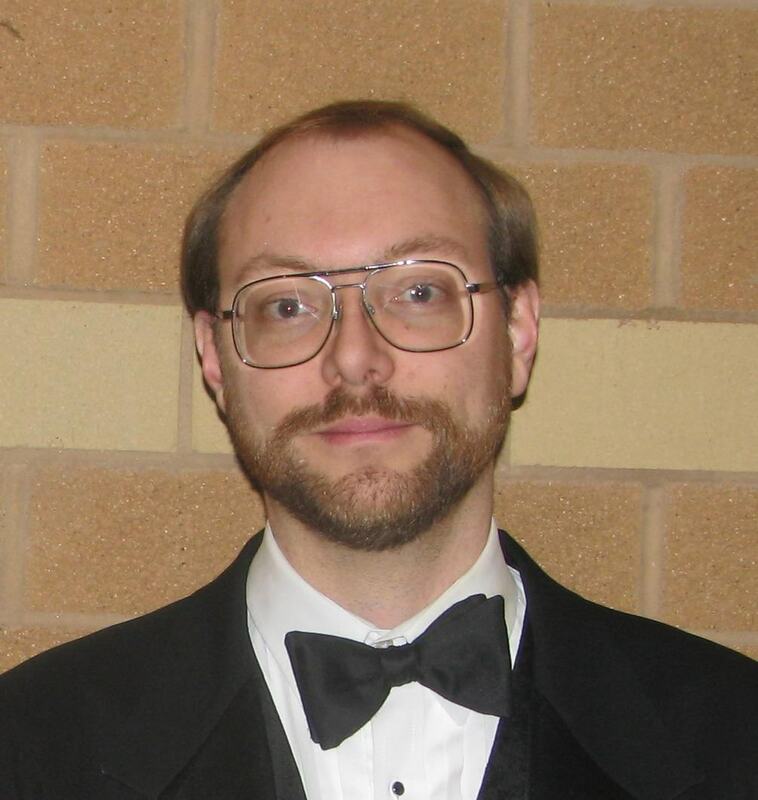 Steve: Besides my 10 years as Music Teacher/Orchestra Director at Middleton High School, I have completed my Master’s Degree and Ph.D. course work in Musicology at UW-Madison. As part of my doctoral work, I finished a minor in Orchestral Conducting with Prof. David E. Becker. As a violist, I have played in professional and community orchestras for almost 30 years. What kind of qualities and qualifications are you looking for in a participant? Is there a typical portrait or profile? Mindy and Larry: We are looking for proficient, amateur musicians who are willing to make a commitment to weekly rehearsals. Steve: We want the orchestra to do justice to works from the standard orchestral repertory, so the players should expect some difficult music. But we like to look at the word “amateur” in its true sense: a person who takes part for the love of it rather than for money. It does not reflect a lack of skill, and these musicians exemplify that. What is your philosophy of performing and programming? Mindy and Larry: We want to play the highest quality music that is rewarding to play. Steve: We are also trying to find a balance between standard works that have great familiarity, lesser know works of major composers, and some of those hidden gems. In addition, we are going to let the musicians have a very active role in the choice of repertoire. For example, for the February concert, they will be choosing between Brahms’ Symphony No. 4, Dvorak’s Symphony No.7 and Elgar’s “Enigma” Variations. We can’t lose–it will be great no matter what they pick. What are your plans or hopes for the group in the future? Mindy and Larry: We want to become a high quality orchestra. We would like to continue to attract good musicians. We also want to bring in good quality local soloists. And we are certainly looking to pick up an audience following. 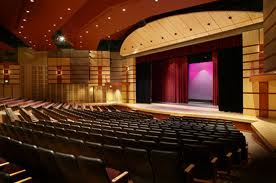 It would be nice to bring in large crowds to our concerts. But most importantly, we hope to have fun while making great music together. Are there other things you would like to say? Mindy and Larry: We have already applied for and received our non-profit status (501 c3) and if anyone would like to support the orchestra so that we can pay our conductor, hire a concertmaster, buy music and employ a librarian, we would be most grateful. We are very excited about this whole venture, and we all sure that Middleton will be a supportive community. Readers: What do you think of the idea of a Middleton Community Orchestra? Will you go to its concerts? as numerous parent or guardians can easily vouch for. I’ve played in amateur/community symphony orchestras for about 40 years; e.g., WI State College-Eau Claire’s; Machida (Japan) Phil; Palos Verde (CA) Peninsula Symphony. I failed an audition for the Madison Symphony last year but sat in a sight-reading session with the the Madison Community Symphony recently. The latter group may have a need, but a Middleton Community Orchestra would be a shorter commute. Since the group’s conductor loaned me a music stand for my Madison Symphony audition, I’d be repaying a favor by playing in this new group. Since I work nights, rehearsals may be a problem, but I think I can adjust my schedule appropriately. And I’d love to play in this group. I didn’t know a thing about this group forming, so thanks for the publicity. Keep up the good work. What do you play? Please contact us through the website.